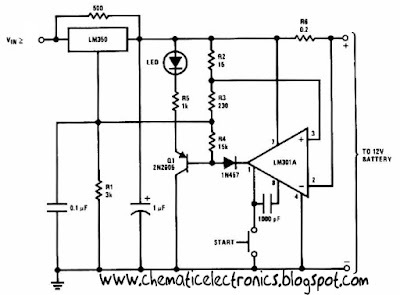 This 12 Volt Battery charger circuit best performance to charger 12 volt battery . Why this charger is best performance because this 12 Volt Battery charger quickly to recharger battery and shuts off at full charge. 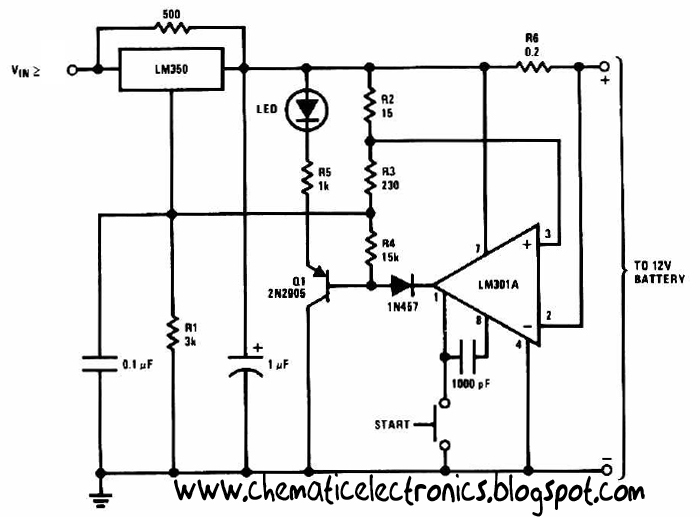 Initially , charging current is limited 2 A , but you can change for the transistor. As the battery voltage rises , current to the battery decreases , and when the current has decreases to 150 mA or 0.15 A this 12 Volt Battery charger switches to a lower float voltage , which prevents overcharge. The 12 Volt Battery charger can be charger wet accu and dry accu , and to be make the accu old last longer. The output charger goes to 14.5 Volt. As the battery or accu approaches full charge , the charging current decreases and the output voltage is reduced from 14.5 Volt to about 12.5 volt, terminating the charging.